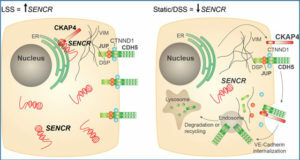 Inactivation of tumor suppressor and metastasis suppressor genes via epigenetic silencing is a frequent event in human cancers. 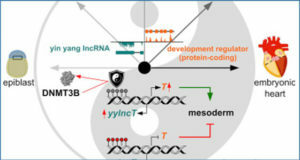 Recent work has shown new mechanisms of epigenetic silencing, based upon the occurrence of long noncoding promoter-spanning antisense and/or sense RNAs (lncRNAs), which constitute part of chromatin silencing complexes. Using RT-PCR, researchers at Tel Aviv University, Israel have started to scan Triple Negative and Her2-overexpressing breast cancer cell lines, for directional/bidirectional transcription through promoters of tumor suppressor and metastasis suppressor genes, known to be epigenetically silenced in vivo. Surprisingly, they found that RT-PCR amplified products were obtained at high frequency in the absence of exogenous primers. These amplified products resulted from RT priming, via transcripts originating from promoter or upstream spanning regions. 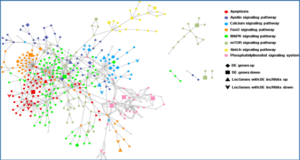 Consequently, this priming overruled directionality determination and led to false detection-identification of such lncRNAs. They show that this prevalent “no primer” artifact, can be eliminated by periodate treatment of the RNA preparations, performing RT reactions at highly elevated temperatures, or combination of both. 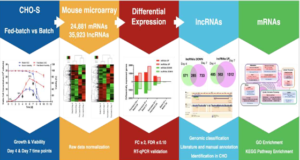 These experimental improvements enabled determination of the presence and directionality of individual promoter-spanning long noncoding RNAs, with certainty. 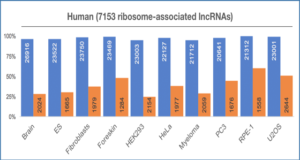 Examples for the BRMS1 metastasis suppressor gene, as well as RAR-β2 and CST6 human tumor suppressor genes, in breast carcinoma cell lines, are presented.